Airbus, the second largest aeronautics company in the United States (behind Boeing) envisions a future of flying taxis operated by artificial intelligence. The ambitious plan sounds almost laughable when it reveals that it could begin testing as early as 2017, but then you remember that whole part about being the second largest aeronautics company in the US and the fact that most of the technology to do this already exists. 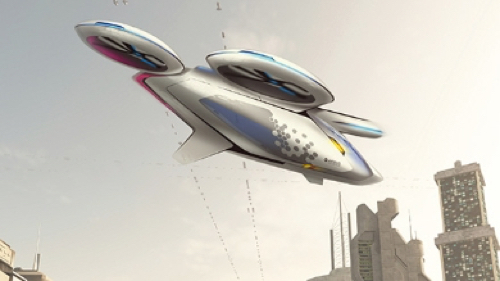 Passengers looking for an autonomous taxi ride would book a seat on a zenHop ‘City Airbus’ drone and proceed to a zenHub helipad. From the helipad, they’d be flown to their destination for approximately the same cost as a taxi due to the cost-savings in sharing the ride with several passengers. Since space is at a premium, luggage (if you have any) would be ferried across town by another service, zenLuggage, all while security experts at — wait for it — zenCyber keep you safe from hackers. Aside from the fascination with the word zen, the plan — codenamed Vahana — makes sense. It’s also feasible, at least in a hypothetical sense. Airbus is keeping the electric aircraft design under wraps, but it did release an artist rendition of what the autonomous taxis could look like.